It's no secret that I love beer (specifically evidenced by this post where I mention four different breweries + home brewing). Yeah, I love beer! My all-time favorite brewery is Anchor Brewing Company located right here in San Francisco. I truly enjoy all of their beer -- so much variety! Evan and I even went on the Anchor tour back in January and had a great time learning about their company and drinking in their tap room. Well, they released a new brew a couple weeks ago: Anchor IPA. Friends! It is hoppy, crisp and delicious. A very drinkable IPA with a great floral taste. Anyway! I hope you try it! We found it at the Whole Foods in Potrero Hill here in the city, but I also called BevMo, and they said they are carrying it as well. You can also try using the beer locator from Anchor to see if there's a location near you that carries my favorite brand. 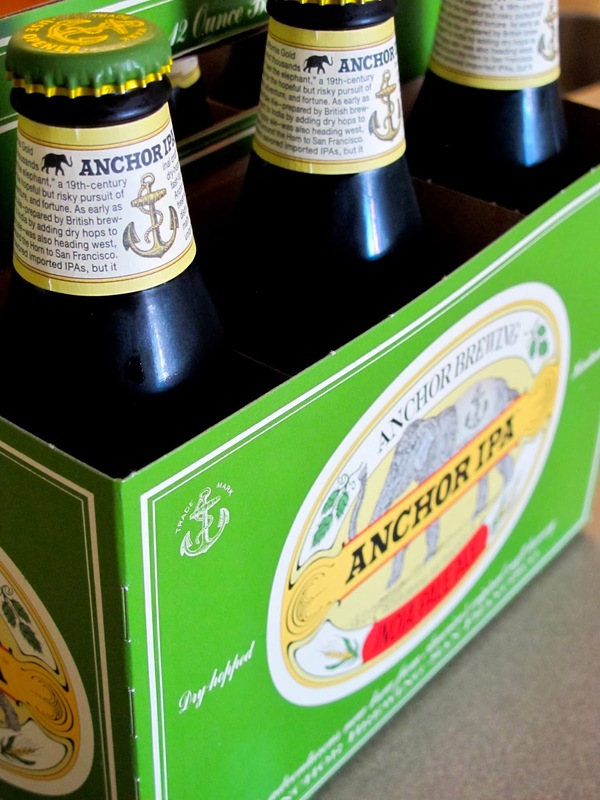 These are my true and honest opinions -- I was not compensated to review Anchor IPA. I just really like Anchor Brewing Company and want to spread the word! I love beer too! You're my kind of girl. There's a restaurant here in Danville called Pete's that is constantly bringing in new beers, they just poured their 2,000th this fall. They have a beer club, and as soon as you've dranken 100 different beers you get your name on the wall. It's like a super huge deal. We joined in June and I'm almost at 90 beers! Yeah for beer! :) This one sounds like a good choice.